Are you ready for some breaking news? Then check out a Leadbit special offer for MGID clients! 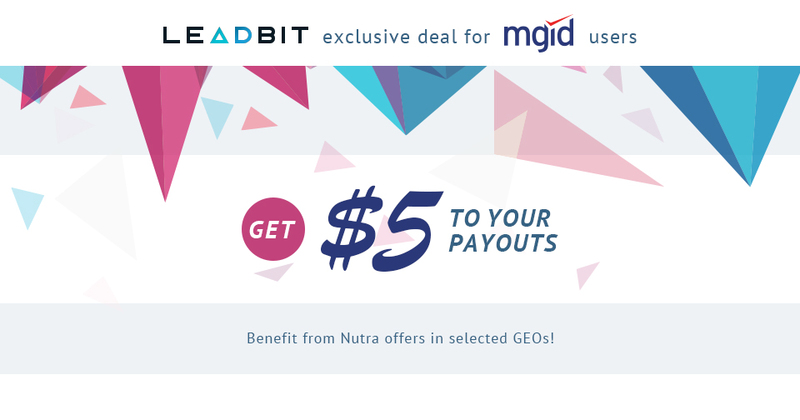 Promote LeadBit Nutra offers in Hungary, Bulgaria, Romania, Greece, Spain and Italy through the MGID network and get extra $5 to your payouts! Just let your LeadBit account manager know about you plan in advance and send him the promo code: #mgidtraffic. He’ll take care of the rest. Sounds good, doesn’t it? Then go to your dashboard without wasting a minute! Peerclick Tracker Exclusive deal for MGID Users! Brand vs Performance Marketing: Still Appropriate Rhetoric?